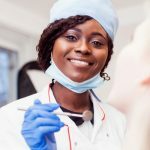 If your Penn Dental Medicine oral surgeon has recommended a tooth extraction, dental implant, or another type of oral surgery procedure, you may be curious about what your oral surgery recovery will look like. 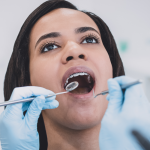 One thing you can expect to receive as a patient of Penn Dental Medicine is high-quality care at prices you can afford, in addition to everything needed to maximize your recovery. Set your worries aside—we’ve got your oral surgery healing tips ready to go! If you have questions or concerns about your oral surgery recovery, PDM is here to help put your mind at ease. At Penn Dental Medicine our patients receive top prosthodontic care, utilizing some of the most innovative, state-of-the-art technology and approaches in oral surgery. This means that your oral surgeon specializes in providing a variety of oral surgery services. Following the removal of wisdom teeth, your oral surgeon may suggest taking prescribed medication to reduce pain and swelling. Within a couple of days, the swelling of the mouth and cheeks should subside. In addition to medication, your oral surgeon will recommend avoiding brushing the teeth near the healing site, consuming hot foods and drinks, sipping through straws, and eating food that requires chewing, for at least 24 hours. You can also use ice packs for fifteen-minute intervals to ease pain and swelling. By the end of two weeks, most symptoms will have concluded. When a tooth is diseased, impacted, or has experienced trauma, your oral surgeon may need to extract the tooth to prevent further infection or complications. Recovery for a tooth extraction is similar to the removal of wisdom teeth but will vary depending on the number of teeth removed. Rest, pain medication, and following any additional suggestions of your oral surgeon will help maximize healing. Since dental implant surgery requires several steps, recovery will naturally take place in stages. After a tooth has been extracted, your oral surgeon will place a dental implant post in the jawbone and may also need to conduct bone grafting. 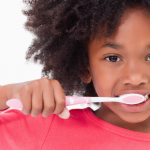 This process can require several months of healing before the permanent tooth/teeth can be placed. Until the surgical site(s) heal, you can help the recovery process by taking prescribed medication for pain and swelling, eating soft foods, and following the post-surgery guidelines provided by your surgeon. Most oral surgeries require numbing agents, so it’s important to use caution to avoid biting the tongue when eating. Oral surgeries often involve anesthesia which can produce sluggishness, disorientation, and, in some cases, nausea and vomiting. It’s best to avoid any activity involving operating machinery or concentration. While you should avoid brushing the teeth near the surgical-healing site, it’s important to maintain normal healthy oral hygiene. 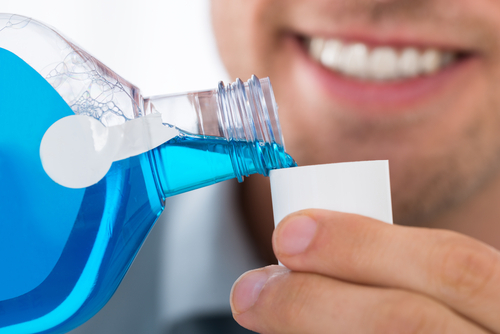 Your oral surgeon may supply you with a special antibacterial mouthwash to use following initial healing. 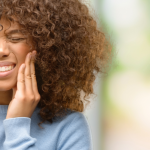 If you’d like to learn more about what to expect during oral surgery recovery or would like to schedule an appointment, simply click here to get started or call us now at 215-898-8965.